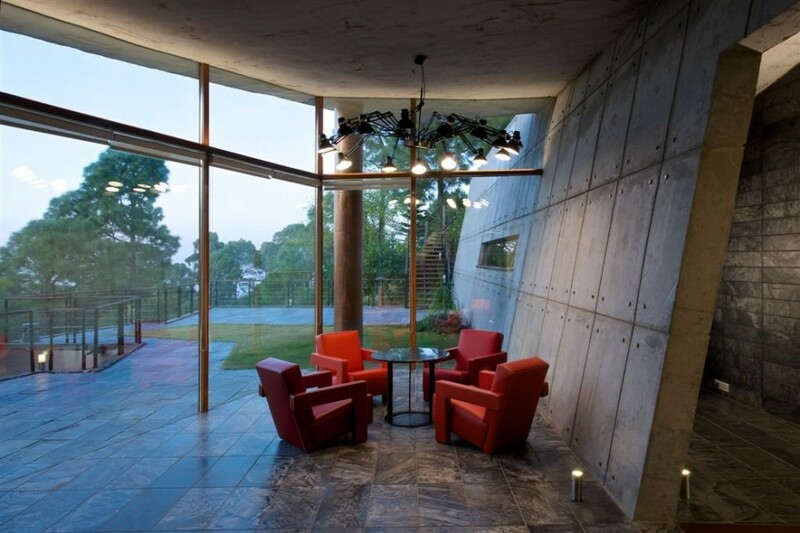 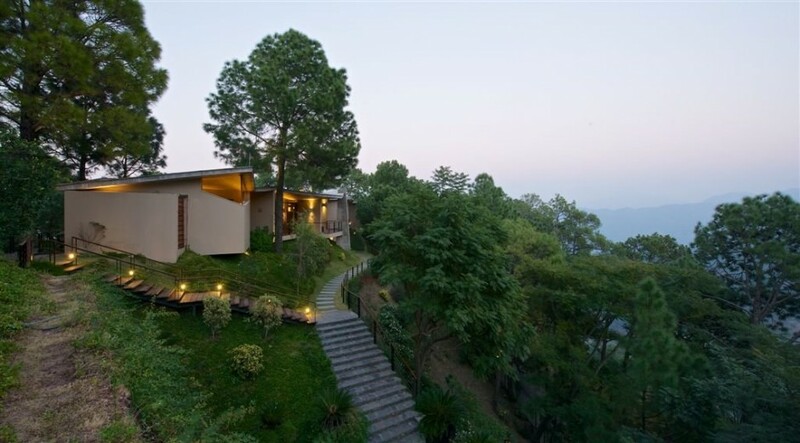 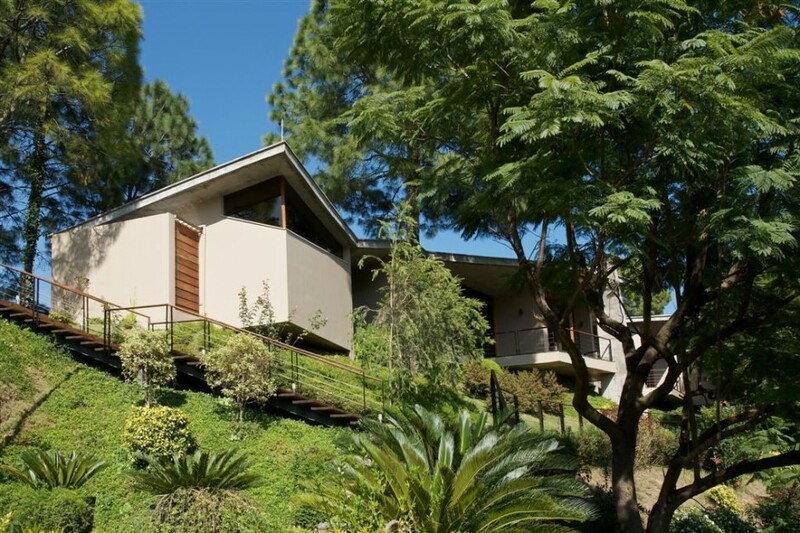 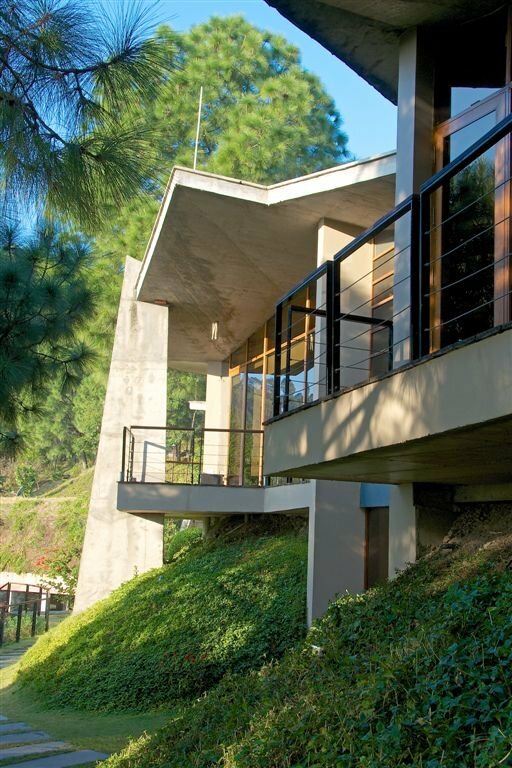 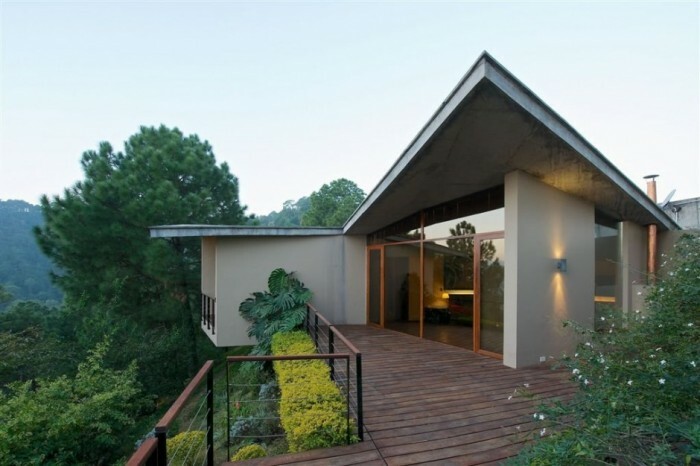 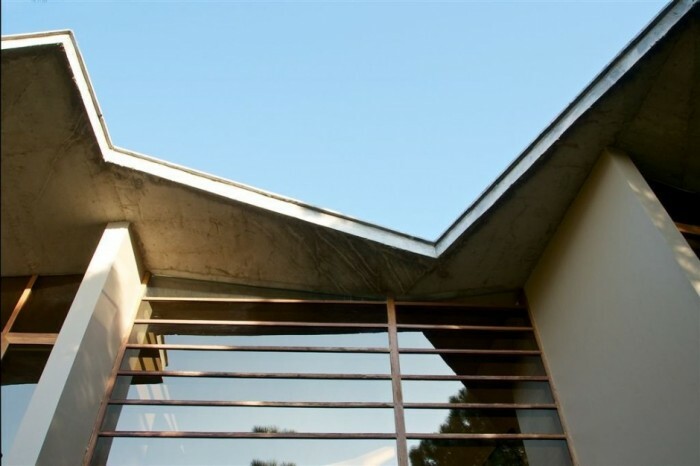 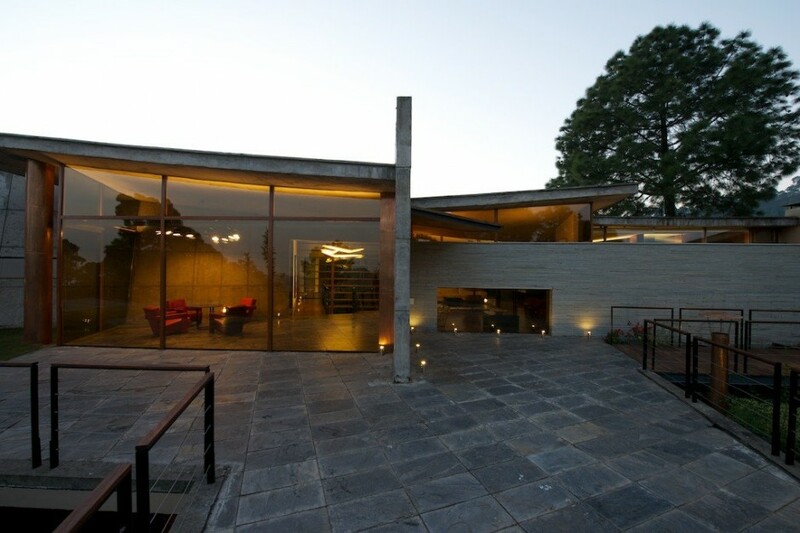 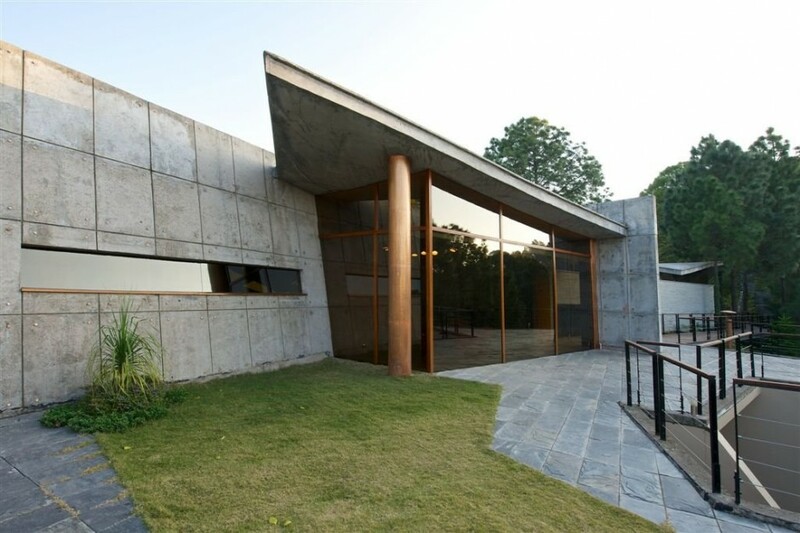 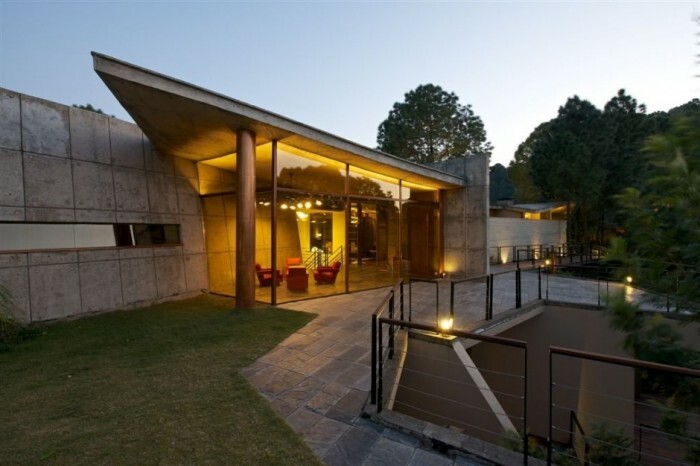 An origami-like roof, inspired by the surrounding mountain ranges, caps the structure of inclined concrete planes which encloses the three entrances, living room, dining room and kitchen. 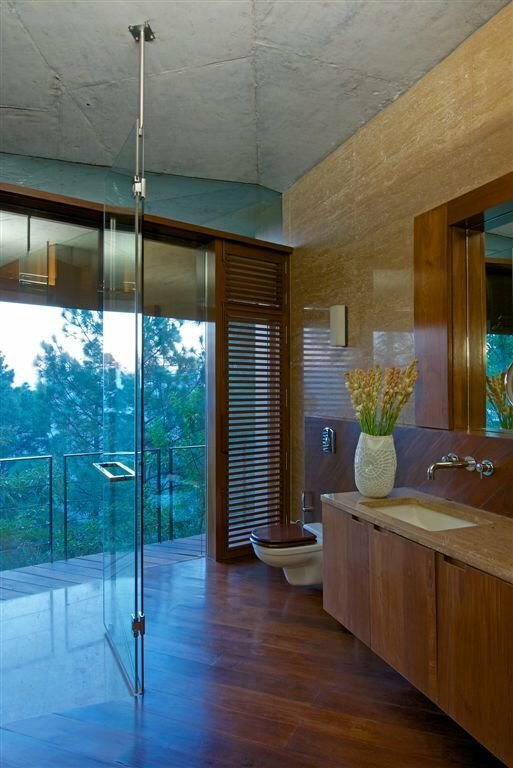 All bedrooms and bathrooms are independent of one another with each jutting out from the hillside, opening onto private wooden decks. 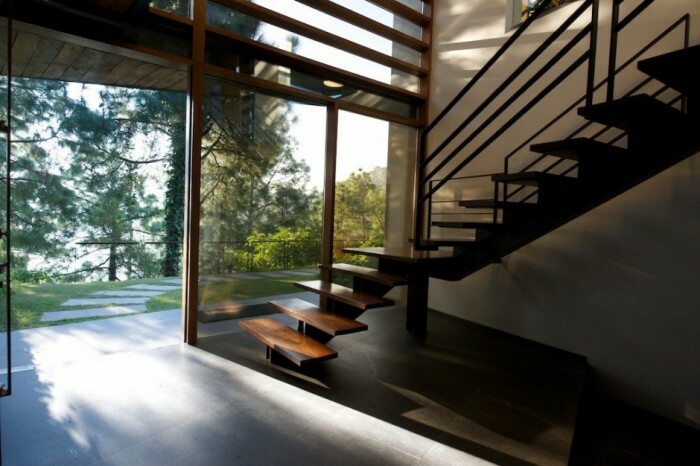 Windows are used throughout the home to create an invisible barrier between the house’s interior and the outdoors. 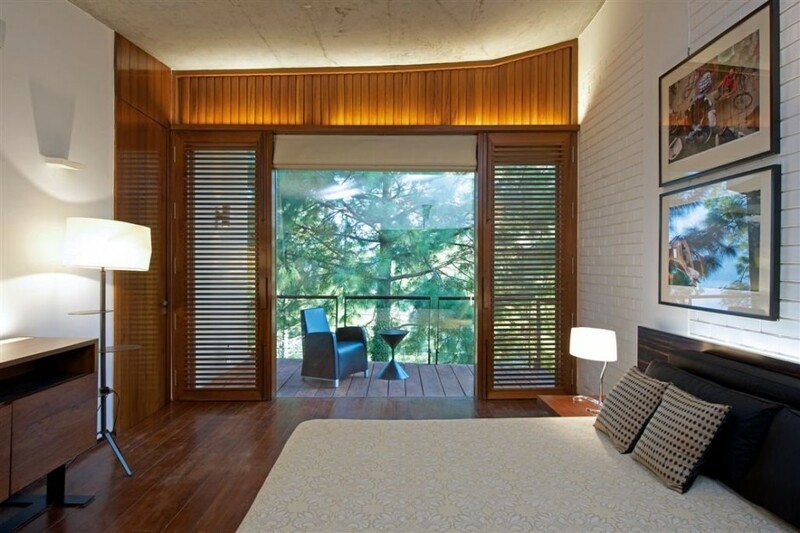 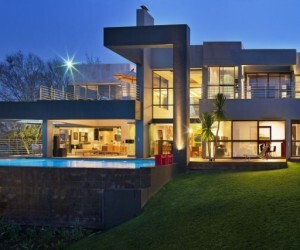 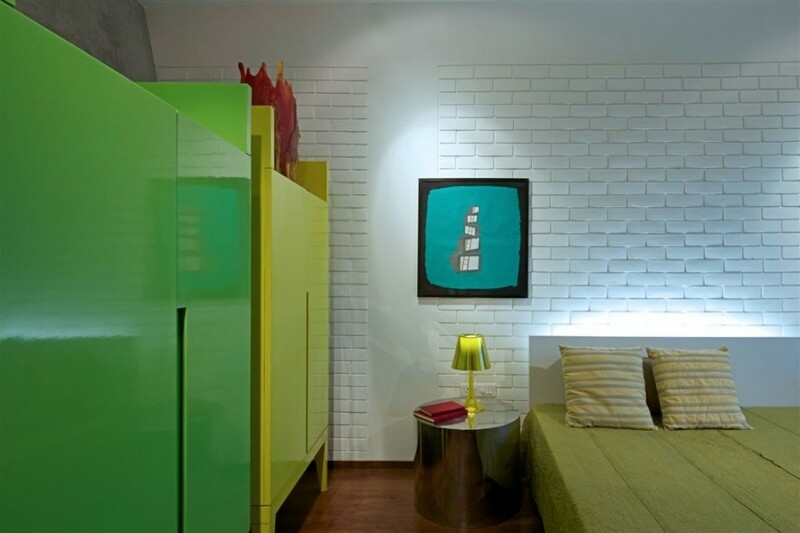 The Western wing of the home features 2 bedrooms, multimedia room, storage rooms and a massage and steam room. 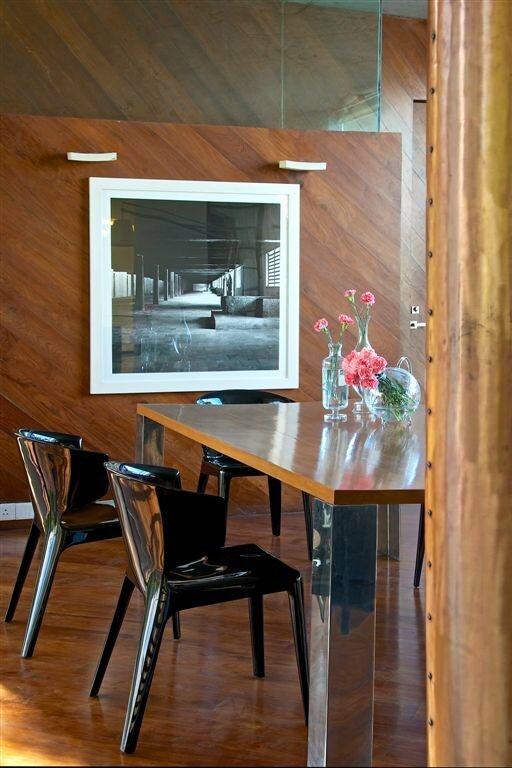 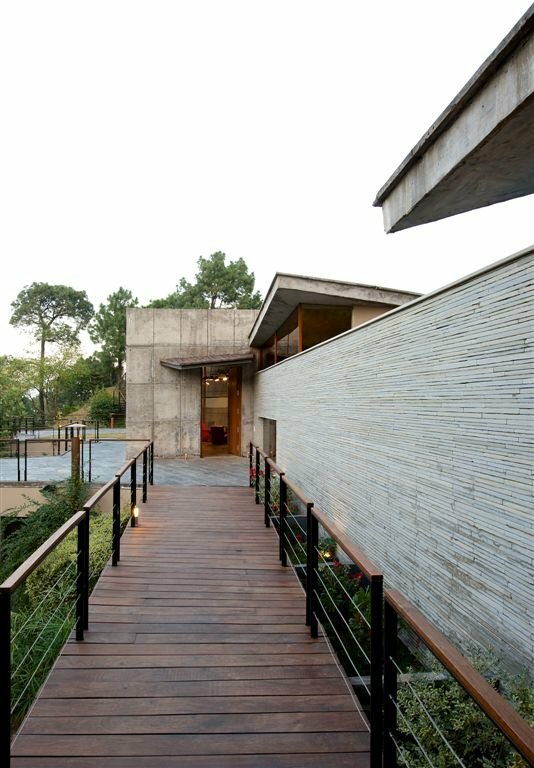 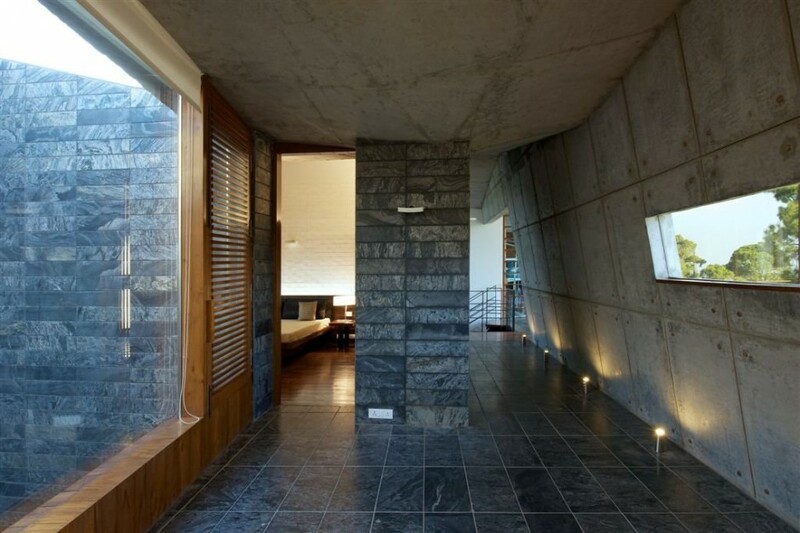 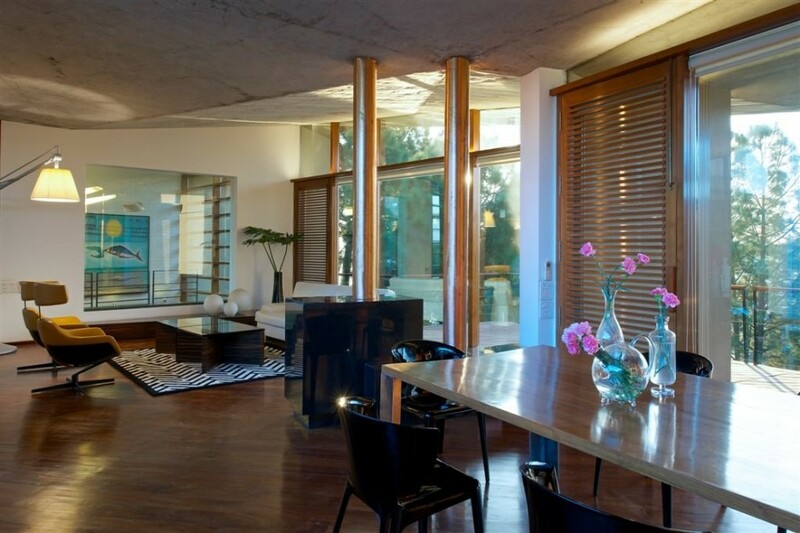 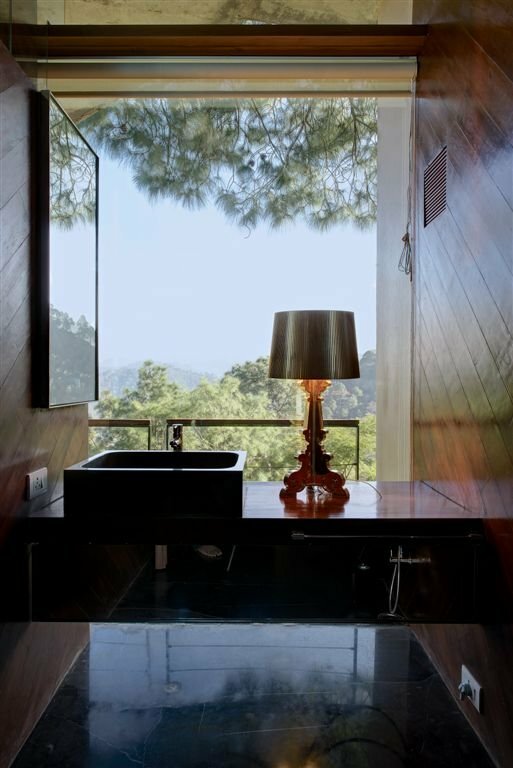 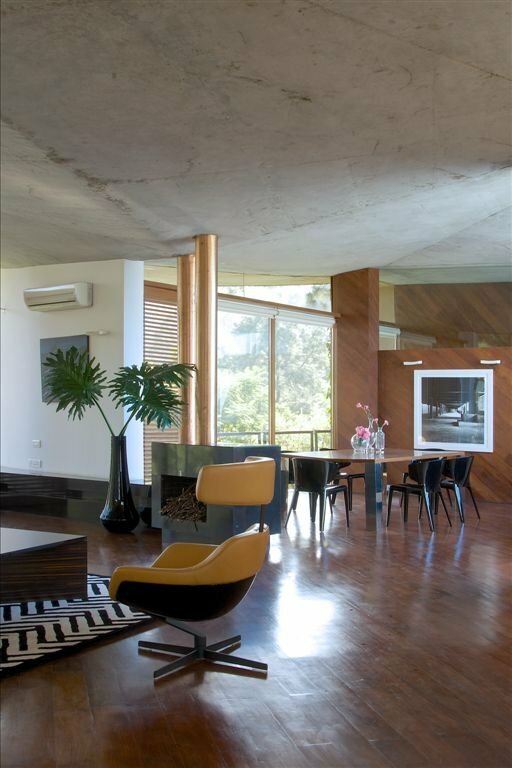 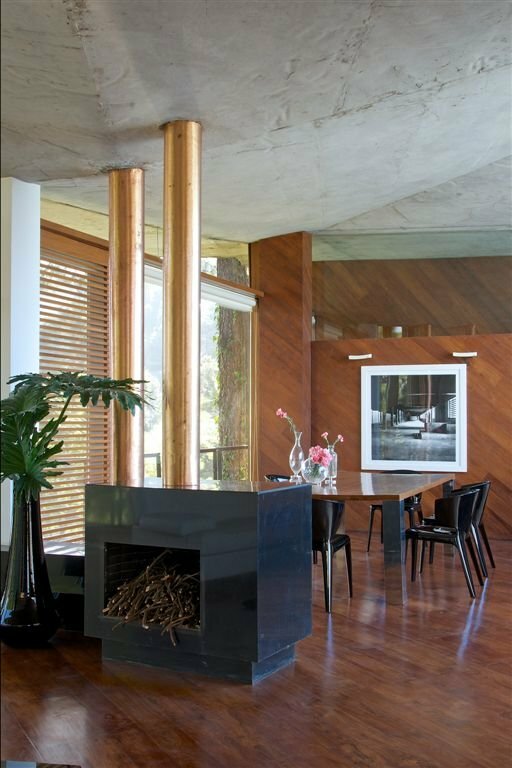 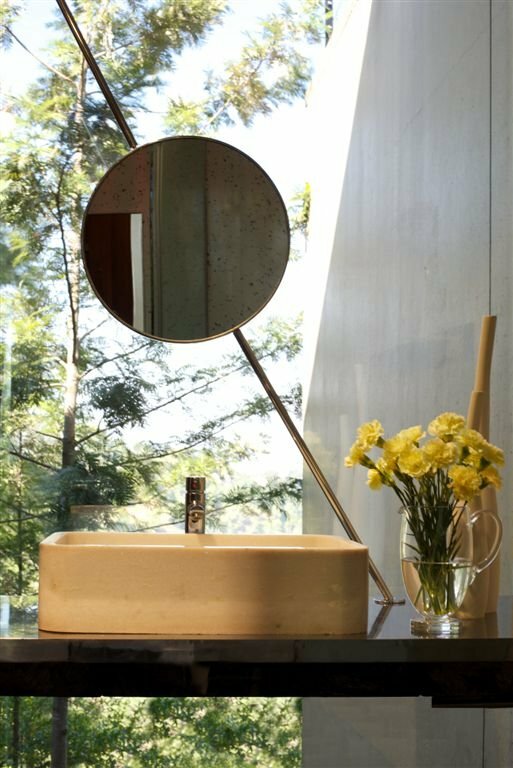 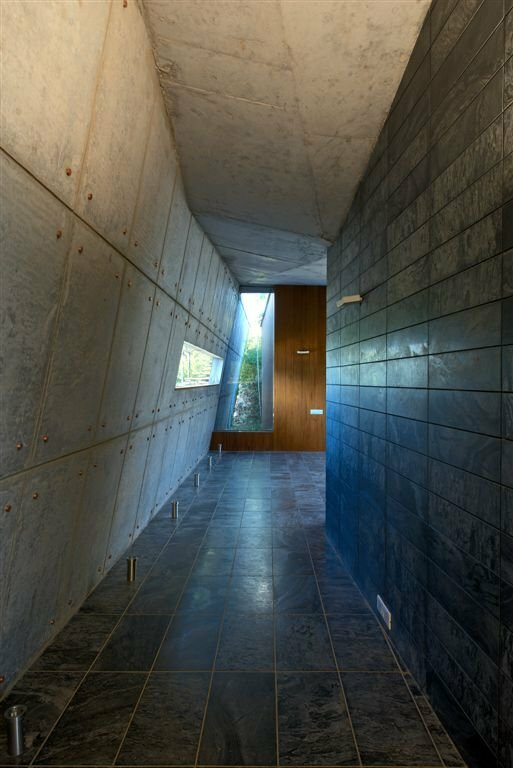 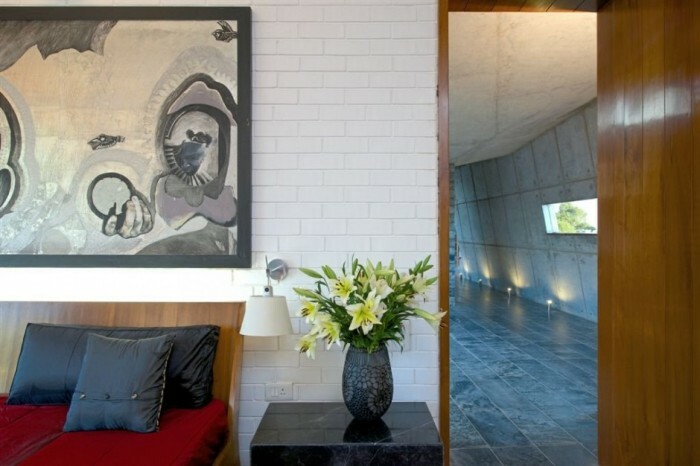 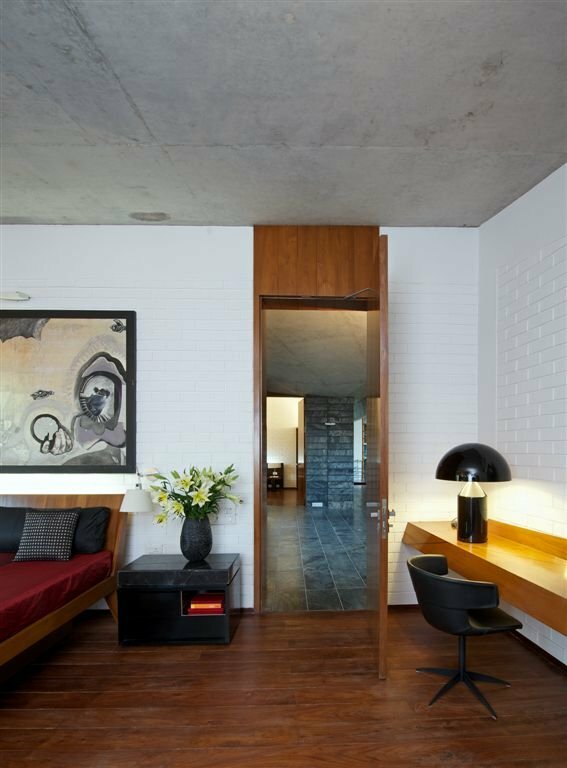 Exposed concrete can be found throughout the house along with teak timber floors and accent walls. 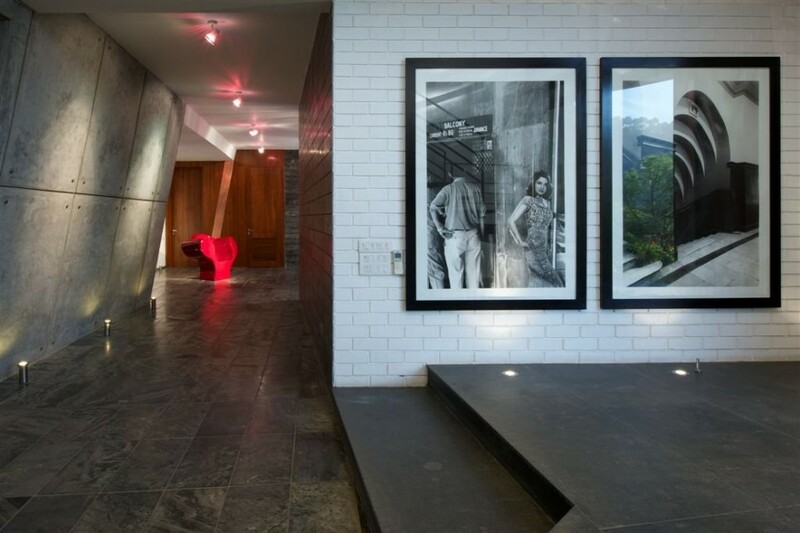 Gorgeous red hues are used sparingly throughout the house creating pops of brilliant color which is quite unexpected placed amongst the surrounding harsher interior elements.